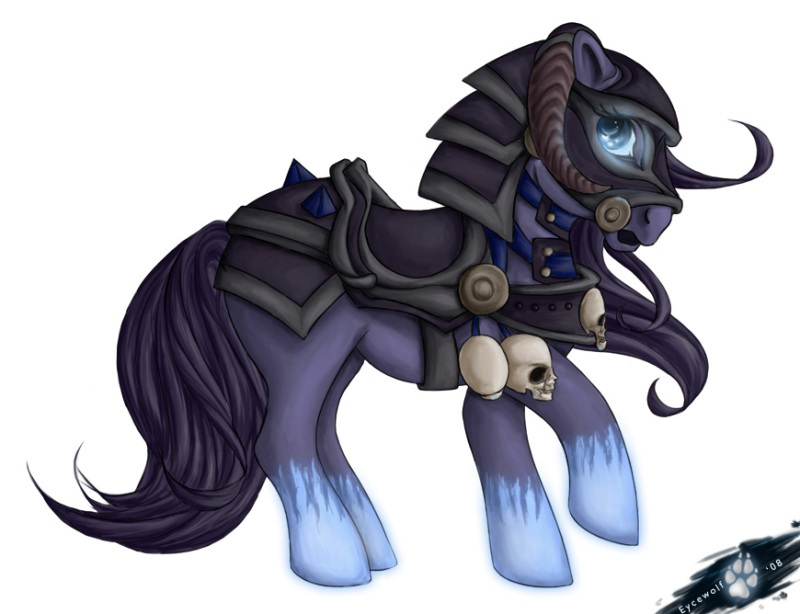 Well, quite a few bronies have been working on ponifying Team Fortress 2, and they've done a mighty fine job. 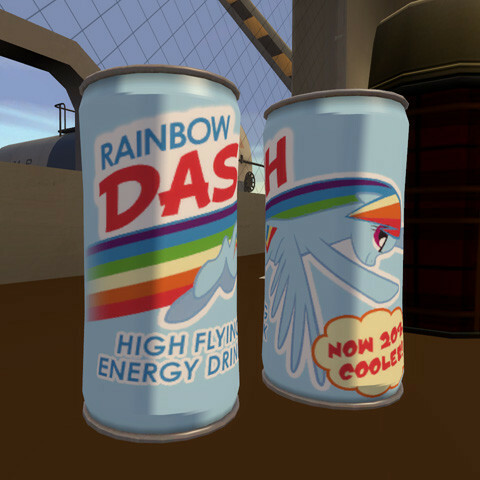 Be it knifes, dispensers, or even BONK Energy Drinks, they've got pony mods for just about everything! Equestria Gaming has a domain! Well, you may have noticed, but Equestria Gaming now has it's own domain! 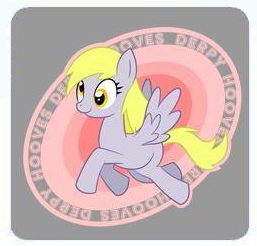 www.equestriagaming.net will now be the link to this blog, and I owe it all to Derpyhooves.com! The wonderfully awesome Derpy Squad over at Derpyhooves.com went ahead and got me a domain, I've known him for a while now, and I LOVE HIM SO MUCH. So if you haven't already, go and check out his site, derpyhooves.com, he does all sorts of neat news updates, along with a few games over there. It's a really helpful place! This post has multiple points. For one, a Wakfu pony guild has started up in Closed Beta for those of you who are interested in the show (And since a good amount of us are from /co/, this is probably the case). Equestria Chronicles: Online is a 3D fan made My Little Pony Friendship is Magic MMO, currently being developed by Rainbow Bloom and their team in the Unreal Development Kit (UDK). This MMO does not currently have much released information, but we can expect videos and screenshots in the near future, according to Rainbow Bloom. As of now, the game has been confirmed for being based around social interactions, cooperative minigames and special events during the early stages. The idea of TF2 Type servers was brought up, but dismissed shortly after, the actual way servers will be set up remains unknown as of now. Ponycraft, a Minecraft server dedicated to recreating Equestria, has been booming in progress. 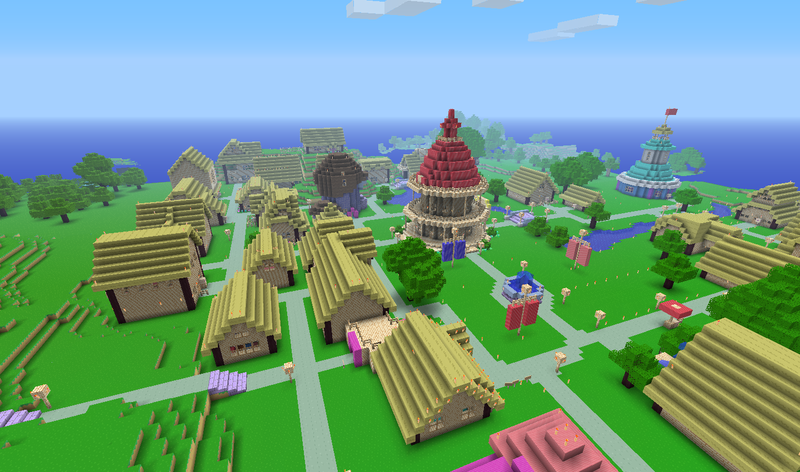 The server, created a mere month ago, already has many of Equestria's mane towns and areas almost completed. If you've got Minecraft, I definitely suggest stopping by on this server at some point, it's pretty amazing. 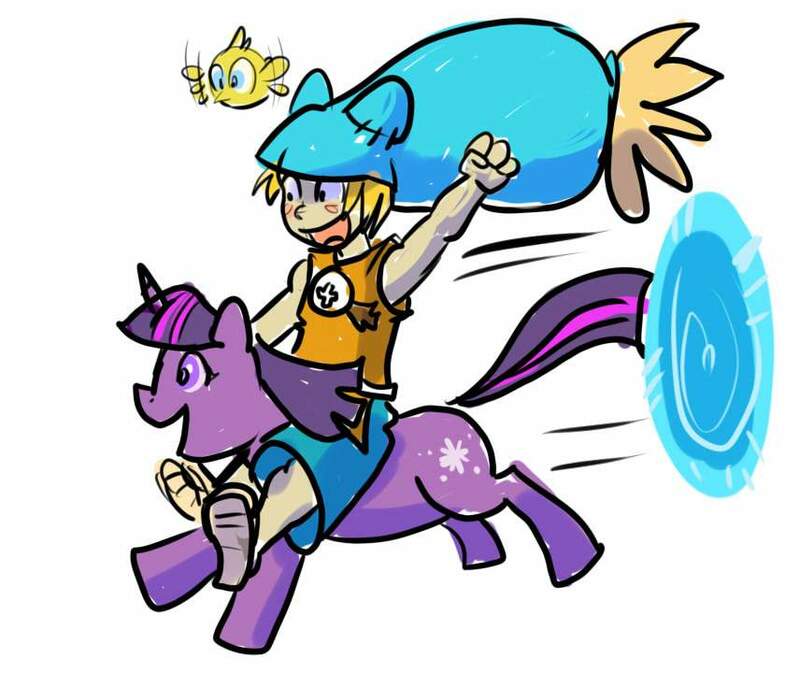 My Little Pony Friendship is Magic has been spreading everywhere! And MLP: FiM guilds have started popping up on one of the largest MMOs in existence, WoW! Here is a list of the guilds and their servers, now since I don't actually play WoW anymore, I have no way of finding them on my own, so you'll have to tell me about them before I can put them here! The game starts out unpromising, an almost white title screen, dull text, with a pretty boring and incomplete feeling to it. Though there was one thing that stood out, after starting the game, it would allow you to choose the pony's eye, mane, and body colors. This is a feature not implemented in many My Little Pony games as of now, and the range of colors was VERY large (Basically any color you could ever want). Version 2.0 will contain different Mane and Tail styles, along with the ability to play as the mane cast. This My Little Pony Visual Novel will take place in ponyville, where the player can choose between a young stallion or mare who recently moved there. During the game, you will be able to make many decisions, all of which will affect the way things turn out for you later on in the plot. The game will contain both canon, and noncanon characters. The game is being written in Ren'Py, a Python scripted engine for creating visual novels and such. There is no currently released version of this game yet. 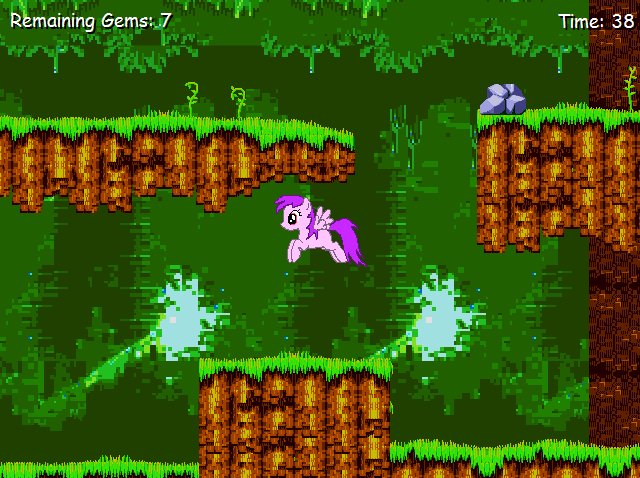 The Custom Pony game isn't really an actual game, just a simple create your own pony tool using images ripped directly from the Hub's pony flash game. 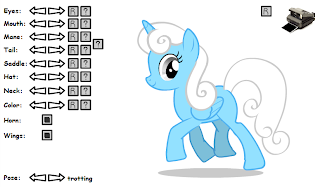 The game is very easy to use, Pressing the arrows will scroll through the many different features of the pony you are creating, the R resets the feature to it's default, and the ? sets it to a random feature. You can also change the pony's pose between one of many, each pose is fully animated. The picture of the camera on the top right of the screen, when clicked, freezes the pony in place, allowing you to take a smooth and clear screenshot. 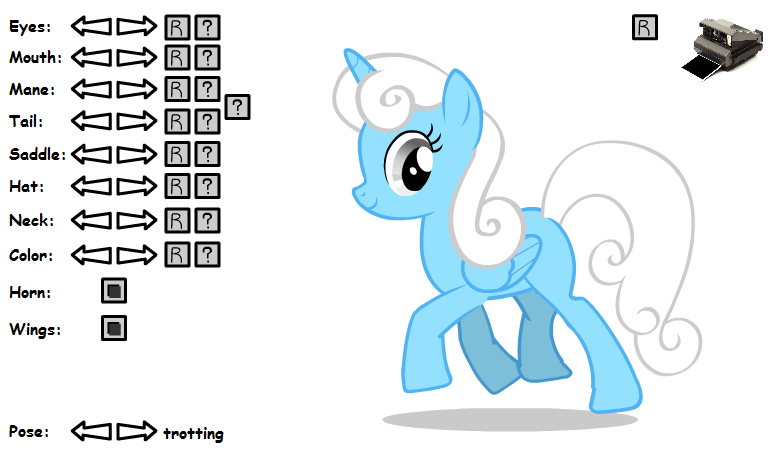 The R at the top right of the screen sets every feature to something random, creating a fully random pony. The idea behind the game is practical and simple, but there are a few things that are holding it back. The colors are the major issue, there is a very small range of bright colors you can make your pony, and the other big problem is that it only supports female ponies, which is understandable. 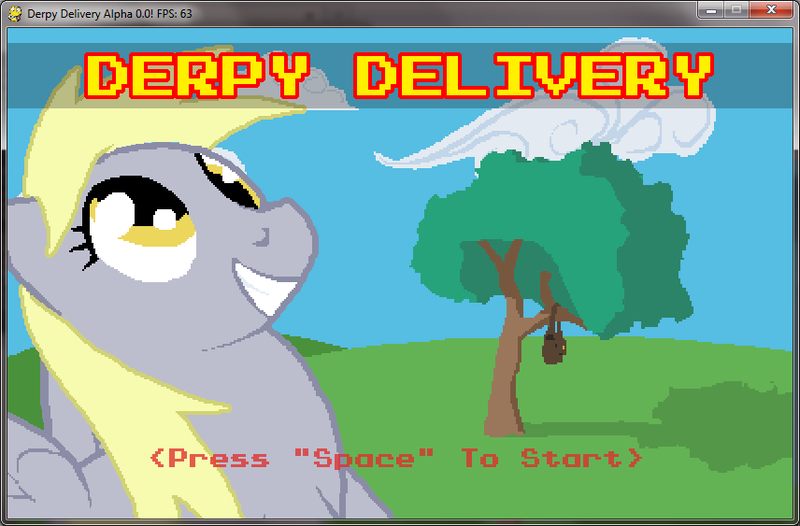 Derpy Delivery is a Platformer by Grit where you play as Derpy Hooves. 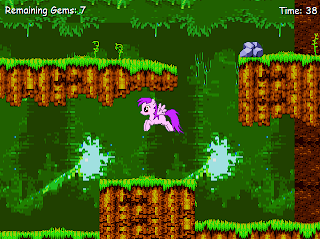 The controls for the game are Arrow Keys to move, Spacebar to skip scene/restart level, Esc opens up the menu, 'X' picks up items and 'Z' to give letters to other ponies and continue chatting. The game currently has only two levels, and a mysterious third 'Twilight Zone' level. 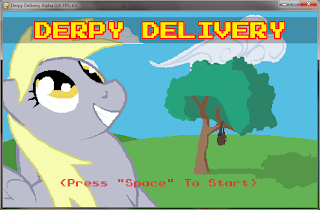 The first level opens up with a cut scene, where Derpy manages to accidenly scatter a bunch of letters, the goal of the level is to collect said letters, and return them to the other mail pony. The game itself features some very nice movement, mostly smooth and working collisions, and pretty great controls. 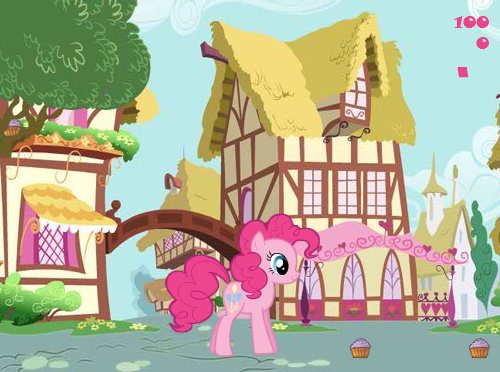 After returning the three letters to the other mail pony, another cut scene plays and then you enter Ponyville. This time, your task is to deliver letters to the ponies who need them, but mainly to find the mail bag. The second level is VERY large, and you can go pretty much everywhere. There are many things that make the level fun to just roam around in, and many things you can mess up for other ponies. On April 3, 2011, A game was posted on Equestria Daily labeled Luna Game. It seemed harmless enough, so a few people downloaded it, only to quickly realize it was not what it seemed. Dancing Pony Gorgeous Flame Insomnia Labrinth Demo is a side-scrolling game where you play as dash. 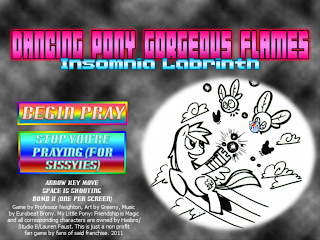 The music featured in this game is Fluttershy's Lullaby Eurobeat Remix and Giggle at the Ghostie Eurobeat Remix. The game's controls are simple, Left Arrow to move left, Right Arrow to move right, Up Arrow to move up, Down arrow to move down, Space to fire energy beams, and 'X' to use a one-per-level bomb. This game has three levels, two normal levels and a boss. In the levels, the goal is to last through the waves of Parasprites, you can destroy the Purple and Gold ones with your energy shots, but the red and blue ones will duplicate when shot. 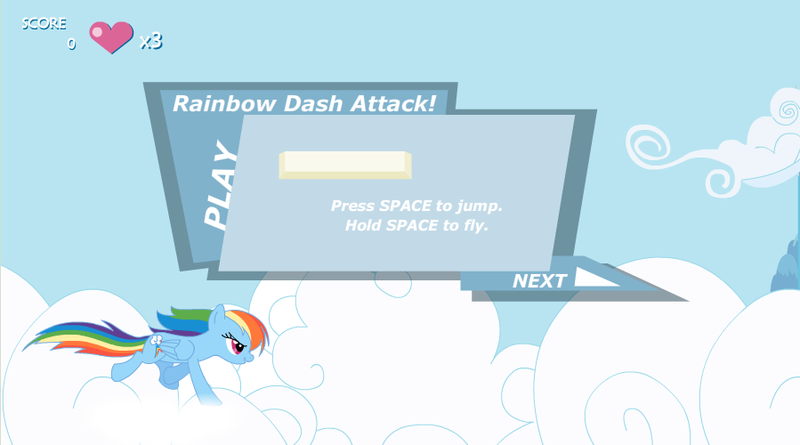 Rainbow Dash Attack is a side-scrolling game where you can play as Rainbow Dash. The Game does not have any built in music, but is 'intended to be enjoyed with a thumping beat'. 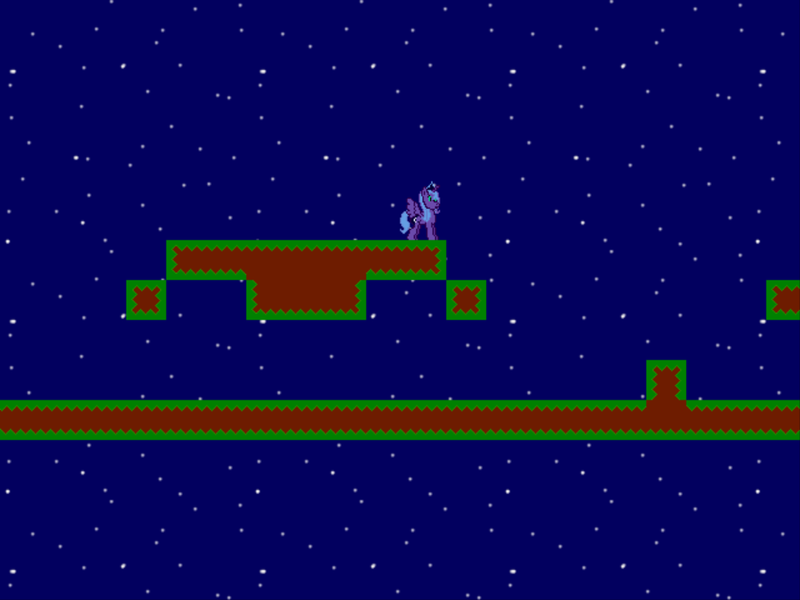 The controls are extremely simple, Press Spacebar to jump, and hold Spacebar to fly. The game only consists of one single, continuous level. The goal of the game is to get as many points as you can before losing all of your lives. Touching a regular cloud will give you three points, and if you manage to hit the dark storm cloud just right, it'll give you five points. In Easy, you get an extra life every 500 points you earn, and in Hard you get an extra life every 1000 points you earn. There is no plot for this simple side-scroller. The concept is very simple, and the gameplay is fairly easy, but it's very repetitive and can get old very quickly. Collect Cupcakes, Lick Ponies is a platform game where you play as Pinkie Pie. This game also has a sequel, Collect Cupcakes, Lick Ponies 2. The game features the song Dragostea Din Tei. The controls are very simple, Left arrow to move left, Right arrow to move right, Up arrow to jump, and Spacebar to lick and open doors. This game contains four different levels, each with several backgrounds. The goal of the game is to collect all the cupcakes and lick all the ponies. To advance to the next level, you must obtain a certain amount of points. You get one point per cupcake, and three for every different pony you lick. There is a health number display at the top of the screen, but no way to actually lose health, so it has no actual purpose. There is no plot in the game, or any high scores. The game is cute, and the concept behind it unique and simple, but the lack of content and story really brings it down. 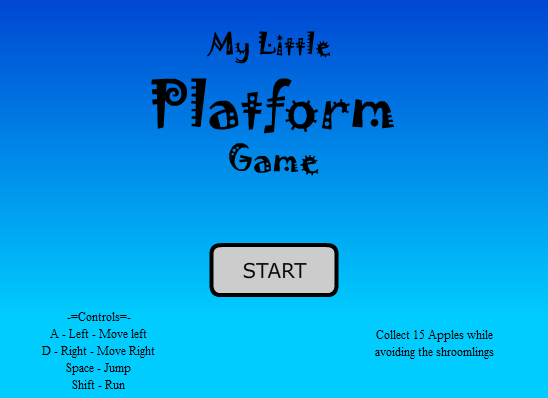 My Little Platform Game is a platformer game where you play as a generic Blue pony with Pink hair. The game features the songs 8-bit Giggle at the Ghostie and 8-bit Art of the Dress. 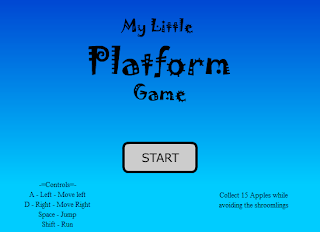 This game was created using the EDWARD Platform Game Engine. This game is currently only a demo. The controls are very simple, Left arrow or A to move left, Right arrow or D to move right, hold shift to run, and Spacebar to jump. The game is very short, featuring only one very small level. The goal of the game is to collect the fifteen apples scattered throughout the map, and either avoid or squish the strange looking green-haired creatures. If you tough the creature anywhere other than the top, you will die and respawn at the start, but because you have infinite lives, there are no penalties. There is no story line at all, and not even a proper ending. 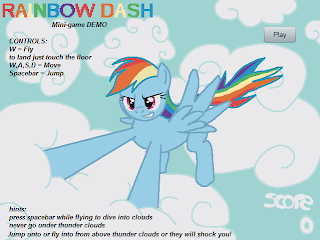 Rainbow Dash Mini-Game is a short side-scrolling game where you play as Rainbow Dash, flying and running above the clouds. The controls of the game are simple WSAD controls. 'W' to fly up into the air, 'A' to move left, 'S' to move down, and 'D' to move right. 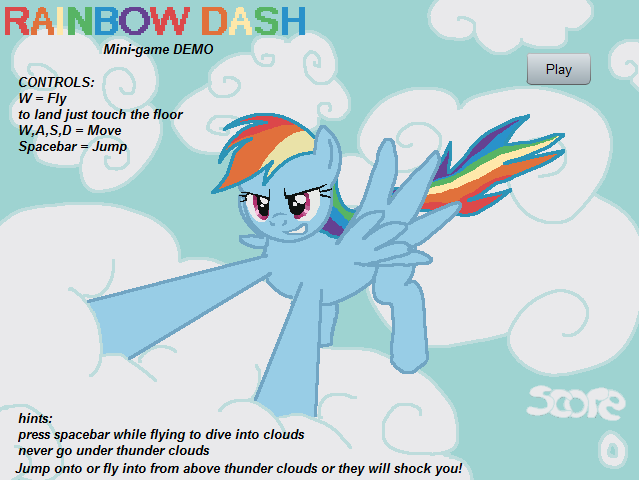 Pressing the spacebar while running on the clouds will cause Rainbow Dash to jump into the air, while pressing it when flying in the air, it will cause Rainbow Dash to jump slightly into the air higher, and divebomb down immediately afterwards. The game features only one continuous level, and the goal is to hit as many clouds as you can, while avoiding Derpy Hooves and the underside of the thunder clouds. Thunder clouds can be destroyed by hitting the cloud itself, but touching the lightning at all will cause you to lose a life. You start out with a total of three lives, represented by Dash's Cutie Mark on the lower part of the screen. Running into other Cutie Marks in game will replenish a lost life. On the bottom left side of the screen if your flight meter, when this is empty, you will no longer be able to fly. You can replenish this by touching the ground clouds, causing Rainbow Dash to start running instead. The plot to the game is completely undefined, and there is no actual end; though the game has a nasty habit of breaking after you pass the score of 5719. The Way Home is side scrolling game where you can chose between two characters, Fluttershy (Normal Difficulty) and Rainbow Dash (Hard Difficulty). The game features some pretty epic songs, including Art of the Dress Eurobat Mix, Sonic Boom, 8-bit Winter Wrap up, 8-bit Night of Nights, 8-bit Space - Magic Fly, and Taking to the Air. 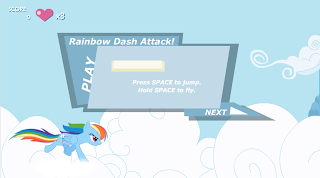 The controls are the Up and Down arrow keys to move Fluttershy or Rainbow Dash up and down, the Spacebar to fire either two birds, or blue energy, depending what character you chose, and Enter to see the level password which can be typed in at the title screen to skip back to that level. There are 5 levels total, including a final boss level. The goal of the first four levels is to dodge all the clouds and other obstacles, and collect the bubbled feathers to increase your speed to ten bars. Each feather will increase your speed by two bars, thunder clouds will decrease it by two, and everything else will decrease it by one. Firing your projectile has the same effect on both difficulties, it destroys any clouds it touches. When playing as Fluttershy on normal difficulty, your speed bar will automatically regenerate one bar over a given amount of time. This advantage is taken away when playing as Rainbow Dash on hard difficulty. The plot of the game is very simple; you are supposed to help Fluttershy and Rainbow Dash safely make it home to Cloudsdale. I've created this blog for the purpose of reviewing and listing all the My Little Pony: Friendhsip is Magic games out there! Now, this is the first time I've used a blog like this, so it might take some time for me to get used to this, but things will go smoother in the future! Thanks to neonsupertails for the Zecora Sprite and urimas for the Scootaloo sprite! And Thanks to THIS WONDERFUL PROJECT For all the others!